Hot Chip: Why Make Sense? 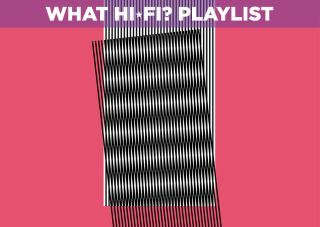 - CD review | What Hi-Fi? British electronic music band Hot Chip look to make a name for themselves with their sixth studio album, Why Make Sense? There can be longevity in disposability and, despite the occasional Grammy or Mercury nomination, Hot Chip’s modus operandi has always been delivering the disco glitter. Songs that seem urgent and vital when they’re blasting from a system but are as anonymous as a last-dance snog-and-grind as soon as they’re over is where they do all their best work. And while with Why Make Sense? (their sixth album since 2004’s debut Coming On Strong) Hot Chip remain a kind of pub-quiz pop-music round (a bit of Underworld here, a dash of New Order there, a Best of The 80s vibe pretty much everywhere), there’s a robustness about the songs here that’s entirely new. With Why Make Sense? Hot Chip sound like they’ve grown into themselves. That’s not to say this album is any great departure, mind you. Chunky, four-square, mid-tempo teeth-grinders are the order of the day here, but with Cry For You, Started Right (with its daring deployment of clavinet) and Dark Night, Hot Chip hit the hips/feet spot without ignoring the head too much. It’s not without filler (‘trite’ is too glamorous a description for Easy To Get, for instance), but as a test of your system’s timing, transient detail retrieval and low-end attack it’s action-packed from end-to-end. And while it’s not an especially dynamic recording (and consequently radio-friendly), it’s a thorough examination of tonal variation.